Grâce à un espace de travail de 2000², le Chantier Naval du Port Vauban accueille voilier et bateau à moteur de 4 à 17 metres. Electrician, painters, polyester specialist : all the CNPV will be close to you to maintain in perfect condition your boat. Our Shipchandler is proposing several references from well-known brands, and welcome you during business days from 8:30am to 6pm. 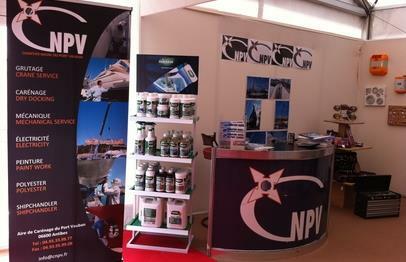 The CNPV will attend the Antibes Yacht Show 2013. Our teams will present you the full range of our references during the reference show of the French Riviera, from April 18th to 21st in Port Vauban. More infos soon !